Late registration open through 4/14; please call regarding spots in smaller classes that are still open. Summer "Banjo, best of . . ." - coming soon! This Spring, you'll learn twenty-five Music Together songs and activities you can recreate at home. Your child will experience the contrast between galloping, slowing, sleeping, then jumping up with delight to gallop again in "See the Pony Galloping." The whole class will treasure the opportunity to see one of the daddies' best monkey impressions during "One Little Owl". 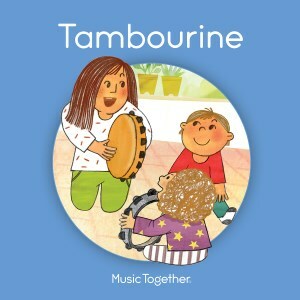 The new edition of the Tambourine family songbook series is debuting this spring! Tuition includes TAKE HOME materials (per family) to keep the learning active throughout the week: one CD, a digital download, a NEW colorfully illustrated songbook, and "Music and Your Child" an educational booklet (for new families). Register online to receive a $5.00 discount! Split tuition into three easy bi-weekly automatic payments online! *Please ensure your device allows cookies prior to setting up your installment plan. A $5 surcharge will be added to the 2nd & 3rd payments. Find out more about Gift Certificates, our Maria Menanno Scholarship Fund and services from AZ Friends of Foster Children Foundation. We look forward to making beautiful music with your family!